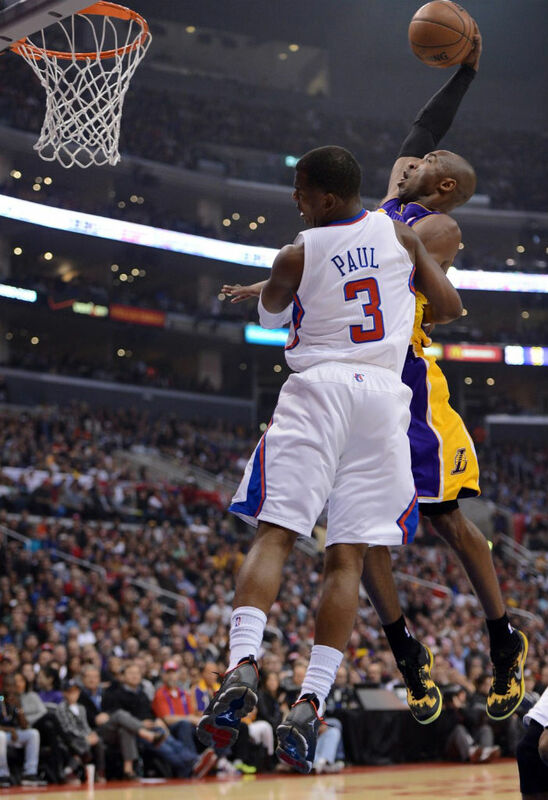 Kobe throws one down on Paul, but CP3 gets last laugh. They were briefly teammates a little more than a year ago, but "Basketball Reasons" put an abrupt end to their dream union. 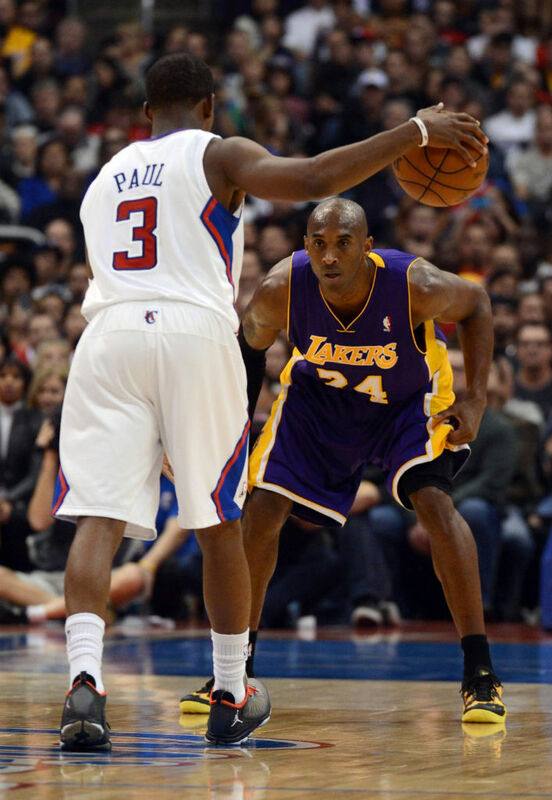 Tonight, Chris Paul and Kobe Bryant took the court as opponents, each leading LA teams heading in different directions. 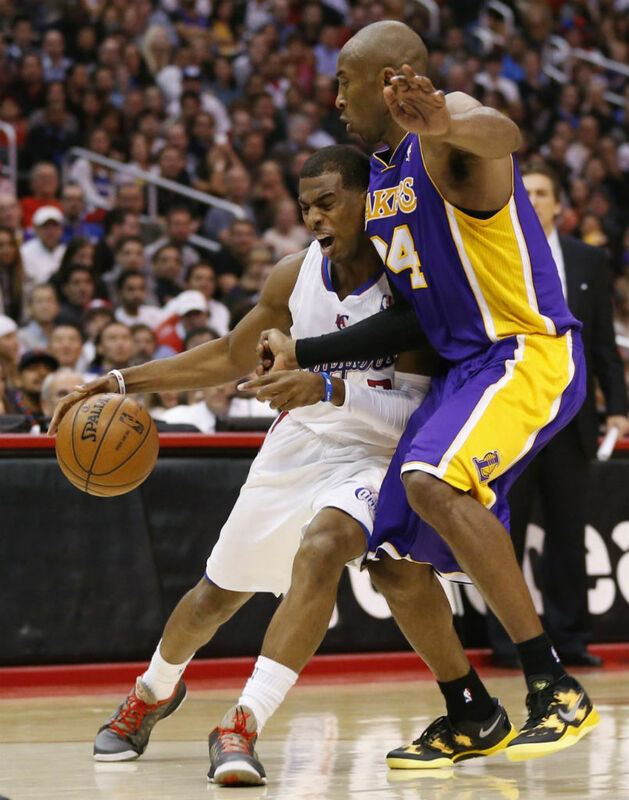 For the second time this season, the Lakers and Clippers squared off at Staples Center in the Battle of LA. Despite trailing by as many as 19 points in the 4th quarter, the Lakers made a late game push to keep things interesting. 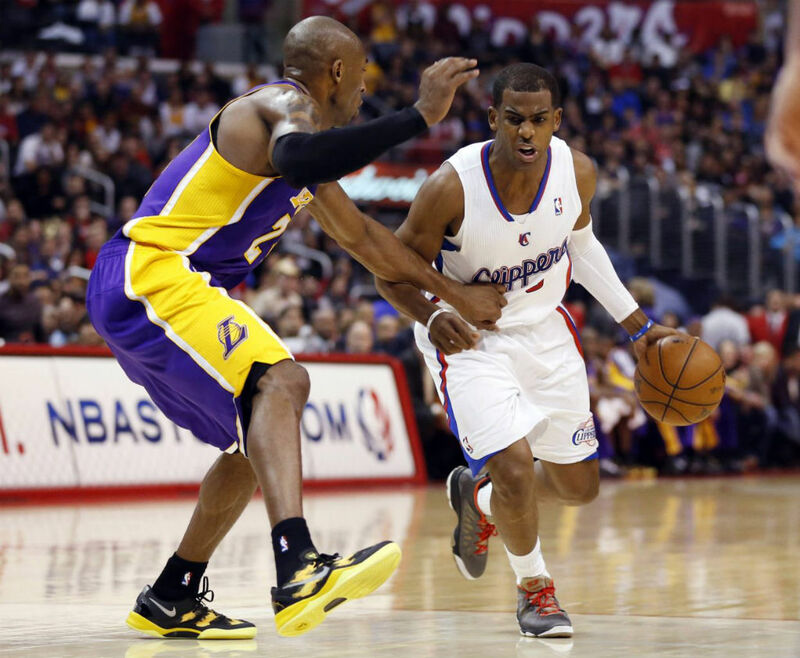 Kobe exploded for 38 points and 5 steals, but Chris Paul's 30 points 13 assists and 6 rebounds were enough to help the Clippers hold on for a 107-102 victory. It's a good thing CP3 walked away with the W, because it'll help drown out some of the chatter surrounding Kobe's 1st quarter posterization of the Clippers' floor general. After intercepting a Paul pass, Kobe sprinted down the floor and threw down a vicious meme-ready one-hander in the "Sulfur" Nike Kobe 8 System. You can check it out the clip above and a few game shots below.